TONEX is an internationally recognized training company that delivers customized Link 16 training solutions to DoD, NATO and defense contractors. By choosing Tonex for your Link 16 training courses, you can expect that all the information learned in class is accurate, relevant and up to date. Our Link 16 courses are designed by Link 16 experts in the field, and this allows our workshops to excel in certain topics that only professionals in the field would understand. We continually update our reading materials, teaching techniques and course offerings to reflect the latest trends in technology. Instead of following the trends, we stay ahead of them to be a frontrunner in the industry. Our Link 16 training courses follow a specific format that includes the overview, the body of the class and the conclusion, which wraps up with Tonex and industry certifications. Our Link 16 training courses are flexible enough that they can be modified to fit the needs of your business so that your employees can focus on the core values of your organization. Browse our catalog of workshops or contact a Tonex representative to find the best boot camps to advance your career. Link 16 Training crash course, Bootcamp style starts with an introduction to Tactical Data Links and covers concepts behind Network Centric Operations (NCO), Link 16 planning, network design, network management, operations and maintenance, and troubleshooting are discussed. Link 16 Training, TONEX is the world’s premier provider in Tactical Data Link (TDL) Courses including TDL Crah Course, Link 4A, Link 11 , Link 16 , Link 16 Cybersecurity, Link 22, VMF, JREAP, SADL, IFDL, MADL, EPLRS, CDL, CEC, MDL, and TTNT . TONEX is specialized in specializes Tactical Data Link Training Courses including Link 11, Link 16, Link 22, SADL/EPLRS, VMF and JREAP. For 4-days Tactical Data Link Training Crash Course, TDL Training Bootcamp CLICK HERE Tactical Data Link Training Courses including Link 16 Training Crash Course provides the concepts behind Link 16 tactical data Link system/ JTIDS / MIDS architecture, installation, integration, data processing and operation. Link 16 Training covers all aspects of tactical data links employed by the U.S Navy, the Joint Services, NATO and Japan. 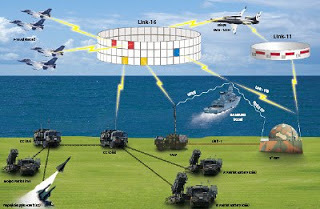 Link 16 / JTIDS / MIDS training course covers all aspects of Link 16 / JTIDS (Joint Tactical Information Distribution System)/ MIDS (Multifunctional Information Distribution System). Operators, Engineers, Designers, Architect, Software and Hardware Developers, Project Managers, Product Managers, Sales and Support and anyone else who is interested to understand concepts behind Link 16 / JTIDS / MIDS.